This is just one of many stories I can share about the kindness we experienced there. It’s widely known Canadians are unbelievably nice. The first night we were staying at our couchsurfer’s flat, he decided to order some pizza so we can see the difference between European and American/Canadian one. He paid for two pizzas, tipped the delivery guy and refused to take more than a slice of each, just smiling because we were eating like animals. My favourite story to share is from Tim Hortons. I’ve loved that chain ever since I first visited Canada in 2009. 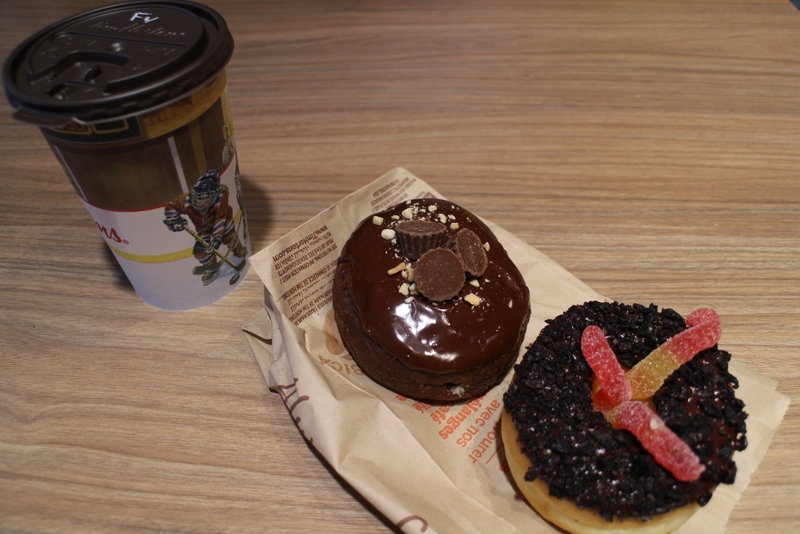 On our second day in Toronto I dragged my boy into one of their stores and we got 6 doughnuts, which not only look mouthwatering – when you bite into them it feels like you enter heaven with every bite (can you tell I’m a fan?). I’m not surprised someone once hijacked a bus to get there. Before leaving the city, we had to try Oreo doughnut – it wouldn’t have felt right any other way. We entered an empty shop at the very city center and placed our order. Two donuts (one Oreo, one Reese’s) and creamy French Vanilla cappuccino. Both staff members working were very talkative, asking us about where we came from and where we were going next when they noticed we are not locals (that was very obvious considering we were both carrying backpacks). The jokes and their smiles made our day already, but then my card wasn’t working. “Try again,” the lady suggested. After 4 unsuccessful attempts, we were no longer the only ones there. I was getting nervous – this was our 4th day overseas, I had almost no cash with me. “It’s ok,” the Tim Hortons employee interrupted my nervous thinking. “The manager says it’s on us.” She must have seen how big our eyes got. We then proceed to thank the male employee who was the manager. I’m not sure why my card hadn’t gone through that day, luckily it worked just fine in NYC but I’m extremely grateful for that experience. Toronto is the city you visit when you have no plans because it’s perfect for wandering around with no destination. People living there come from all over the world; the multiculture reflects in the cuisine and small neighbourhoods such as Chinatown, Koreatown, Greektown, Little Itally, Little India and Little Portugal. I’ve been to bigger cities but something is different here. All neighbourhoods show diversity, yet they still feel connected. 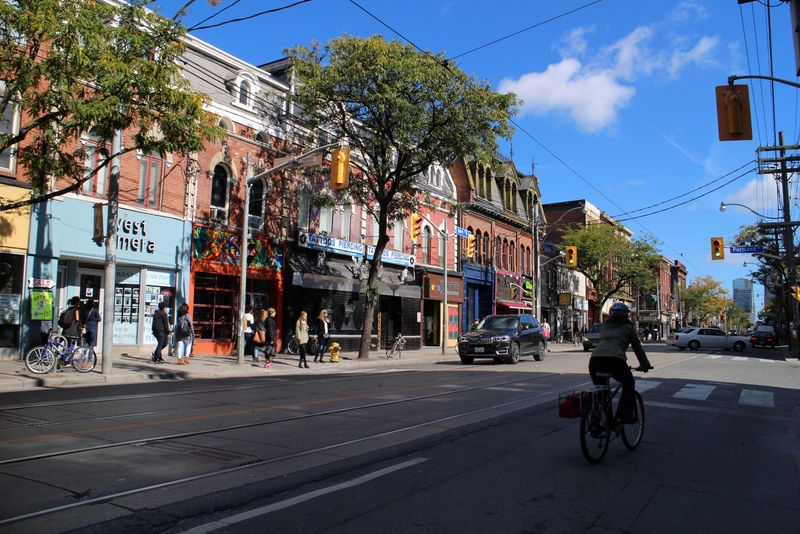 Although the population of 2,6 million makes Toronto fourth most populous city in North America, it still feels small enough to go exploring on foot, however public transport is well-organized. It’s safe too, I have never felt like I was in any kind of danger, be it day or night. You know how they say you must never overplan your trip? 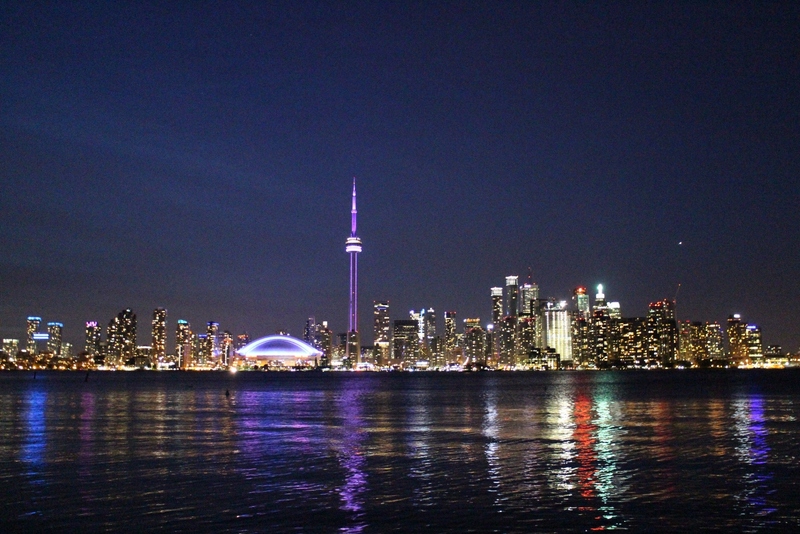 When we came to Canada, we had one activity to check off our list – taking a ferry to Toronto Islands. If you have a possibility, watch a sunset from there. It’s stunning. As the colours of the sky are slowly changing to darker shades and the city lights up, everything’s beautifully reflected in the water. That view alone is your trip there. Street art is just one more thing that took my breath away. When were walking towards Chinatown when I noticed a yellow graffiti in an alley. As curious as I am, I decided to go check it out. What I found was more than just one painted building. 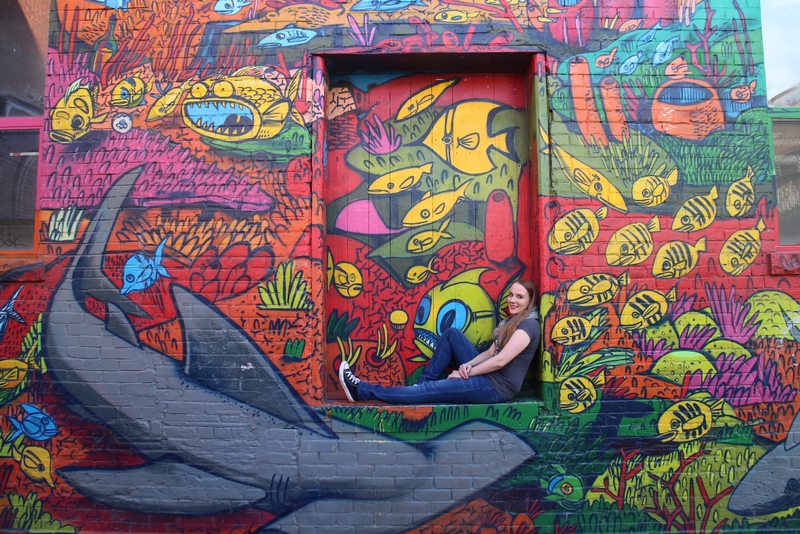 There’s a kilometer of painted walls, many of which tell a story. They look almost flawless, leaving me as an amateur photographer busy for over an hour trying to capture the lively colours smeared all over the place. It’s like a little bit of everything is hidden in Toronto. I’m not sure what exactly it was about the city that first caught my attention, what put it so high on my bucket list… The answer to that remains unanswered. It did not disappoint though. It was all that I expected and so much more. 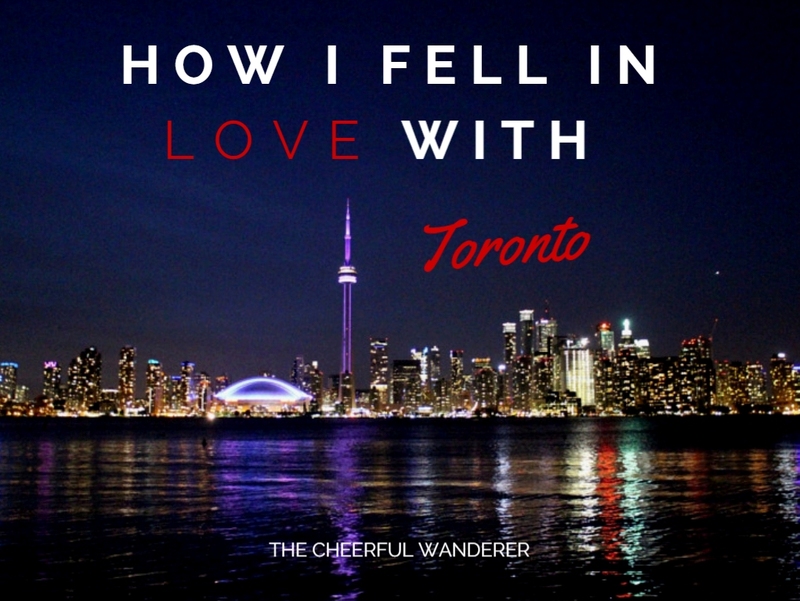 Without a doubt, no other city has ever stolen my heart the way Toronto did. 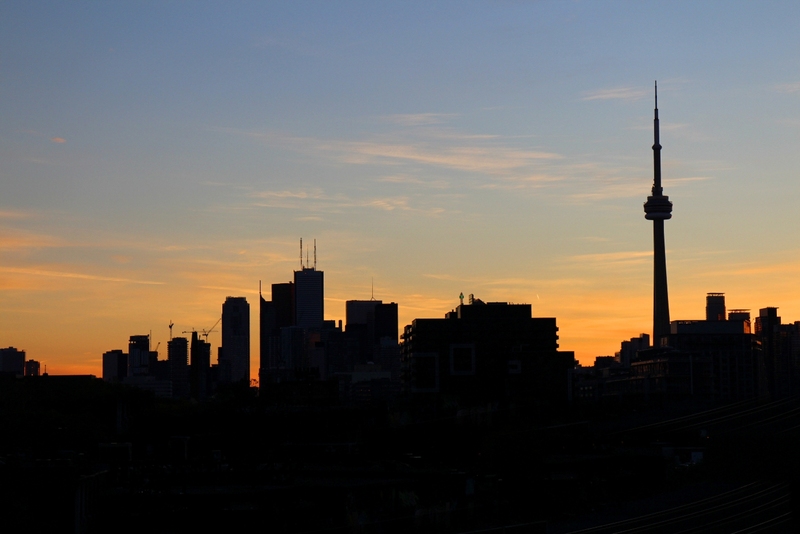 I had a date once in Toronto where we watched the sunset from Toronto Island after taking the ferry across. Still such a beautiful memory after all these years! Sounds like a dream date, Heather. Such a romantic spot. 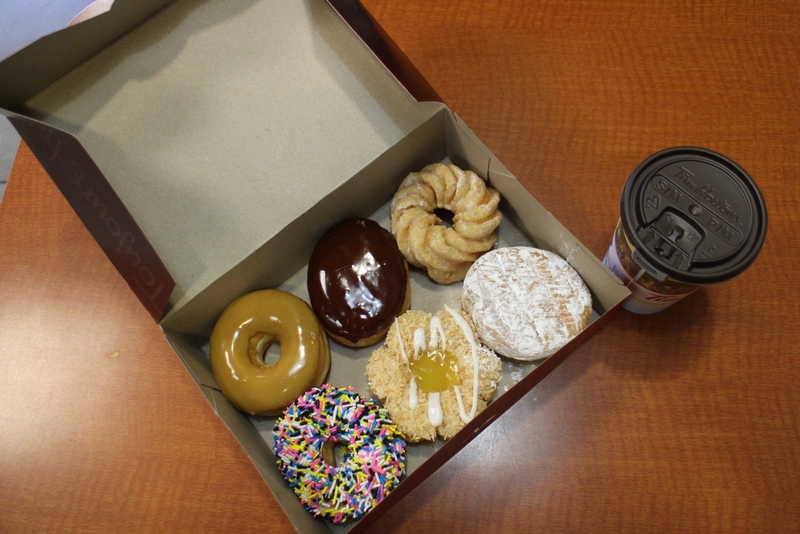 Oh God, I miss Tim Hortons! !